← Here come the girls! I’m sure you have a song playing in your head now? Wait until you’ve read this blog, then click on the link at the bottom to hear the full version. Back to Skye. It’s all work, isn’t it? Not a native to this area, I have taken it on myself to visit as many places as possible, so that I not only have interesting blog stories, but can also tell our guests about this beautiful country. 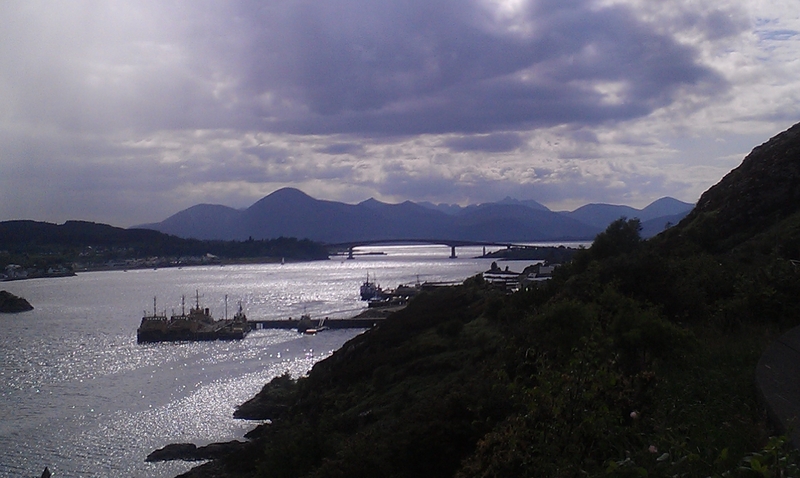 So a ‘busman’s holiday’ to Skye – not a real hardship at all. 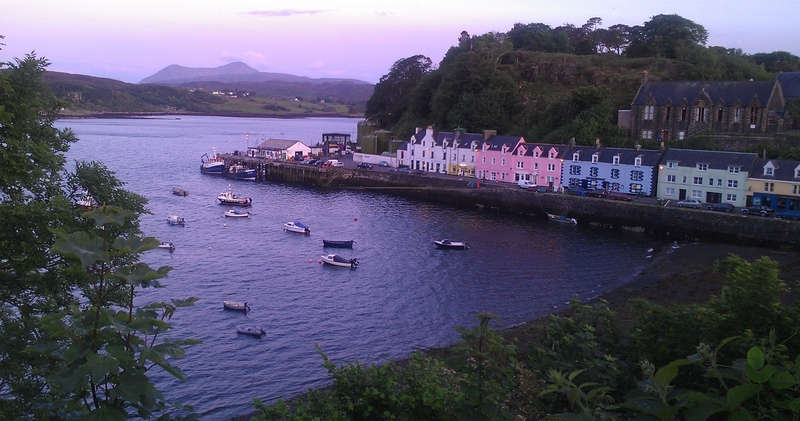 We spent three days there, staying at the Pink Guest House, right on the harbour front in Portree, with great views across the bay and – a particular treat for Charlie – front row seats as the fishing boats landed their catch. We delighted in the fresh sea air, the dramatic mountain scenery and the sheer beauty of the place. 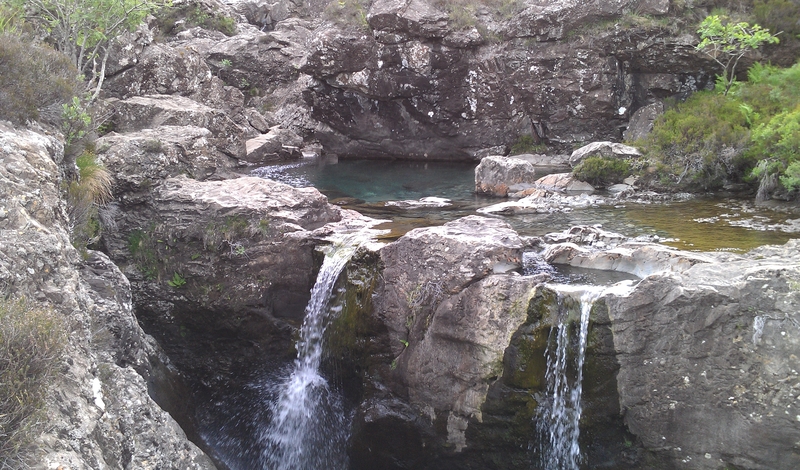 We walked among the magical ‘fairy pools’ in the foothills of the famous Cuillins, ate delicious seafood at the Harbour View restaurant and sampled a few wee drams at the Talisker distillery. Overall, fabulous. 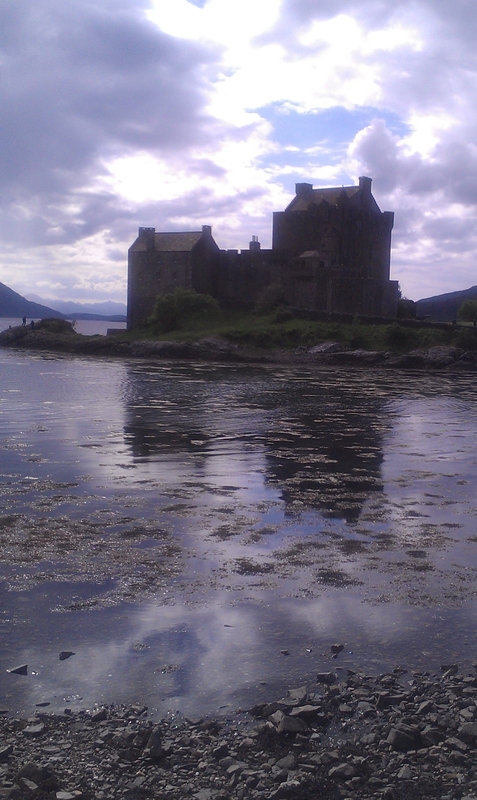 Even the journey there and back threw up some moments to remember – my first ever drive through Glen Coe and a sighting of what must surely be Scotland’s most photographed castle, Eilean Donan. 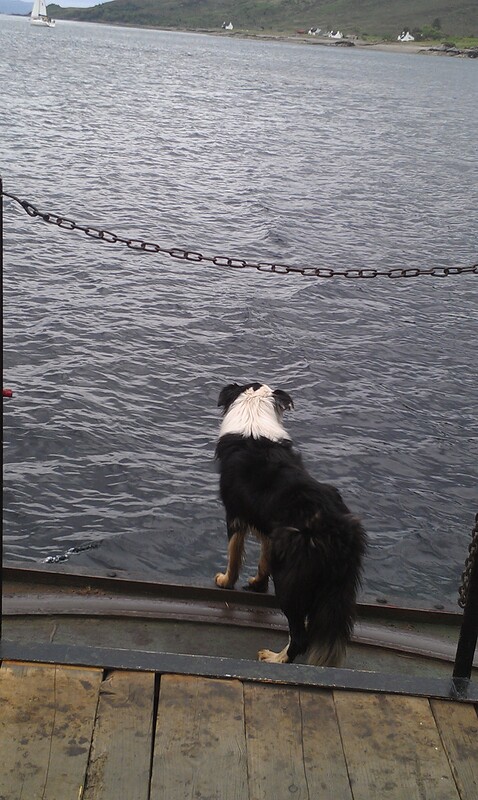 We also experienced both the new and the old as we went ‘over the sea to Skye’. We arrived via the impressively modern Skye Bridge, but returned on the Skye Ferry, sampling a slice of real history in the process – the last manually operated turntable ferry in Scotland, owned and run by the local community. Mind you, the single-track road leading down to the crossing point at Kylerhea is not for the faint-hearted – you have been warned! Of course, it’s not a patch on Argyll (I would say that), but it comes a close second. I can see the rest of my travel blogs being about other second spots too – I can’t imagine not loving any part of Scotland. This entry was posted in Travel blogs - exploring Scotland and tagged Accommodation, B&B, Bed and Breakfast, Places to stay, Places to visit, Scotland, Skye. Bookmark the permalink. Sounds lovely. We really enjoyed our stay and two meals at the Three Chimneys on Skye three years ago. We hope to return. It really was. We had heard good things about the Three Chimneys restaurant, but didn’t make it there this time around, unfortunately. It gives us a good excuse to go back though. Went to Skye years ago. So beautiful as is the area all around. And if you’ve ever seen ‘Local Hero’, you’ll see just some of the reasons I love Scotland! I couldn’t agree more, Alexa!